A migraine trigger is an event or condition that sets off a flare up of our migraine headaches. Is constantly trying to avoid migraine triggers slowing down your life? Once you have identified one or two migraine triggers, you may find yourself avoiding certain situations (big, loud parties, for example) in anticipation of ending the day with a migraine. Do you carry food around with you all the time incase you feel your blood sugar crashing? Do you turn down opportunities to make an impression at work, because they seem too stressful? Do you worry every time you take a vacation, that the jet lag and getting out of your routine is going to bring on a migraine during your precious, hard-earned downtime? That’s no way to live…with your health controlling your plans instead of you in control of your health. Although the top migraine triggers are widely publicized, this list of migraine causes isn’t very well understood. Did you know that the list is just based on the top self-reported migraine causes and triggers?? No one knows yet how all these things are interrelated and can be migraine triggers, even though they seem so random. We are merely relying on an aggregate of self-reported migraine trigger data to give people small clues about how to tune into their body and help prevent migraines. If you have read my article on the bathtub theory of migraine stress & triggers, you can see why I believe they are, in fact, all related. 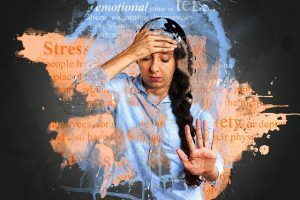 If you look carefully at this list of common migraine triggers, you will recognize that each is a form of subtle stress on the body, and when it is the straw that breaks the camel’s back. When this happens, those of us who are prone to headache will end up with a throbbing headache or a migraine.